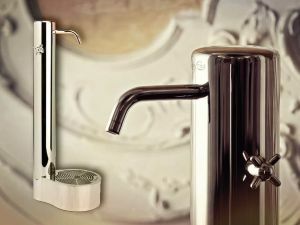 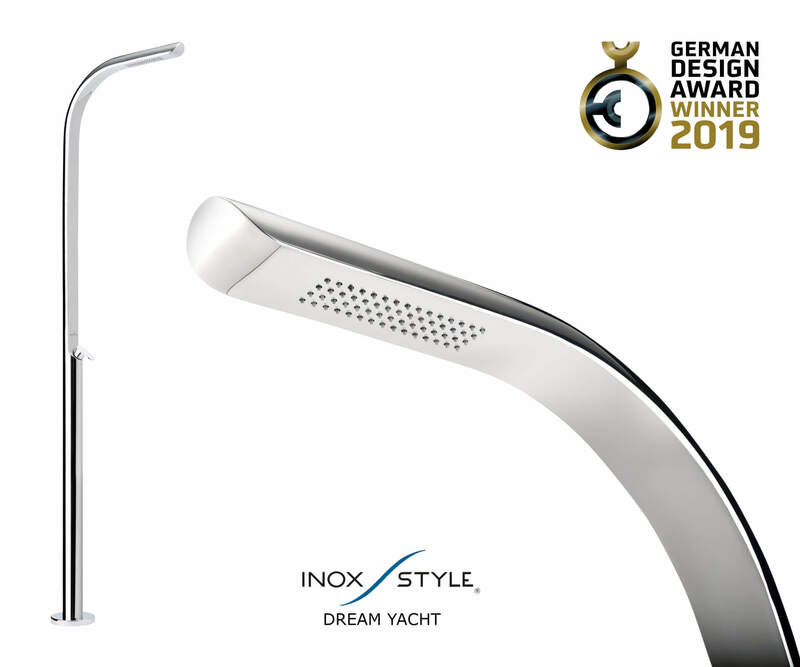 Inoxstyle is happy to report that the shower DREAM YACHT is the winner of the 2019 edition of the German Design Awards, the awards dedicated to the excellence of international design. 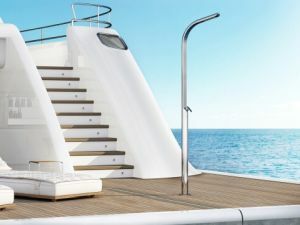 According to statement of the international jury: „The DREAM YACHT appears glamorous with a graceful style seemingly at home in any water-based environment. 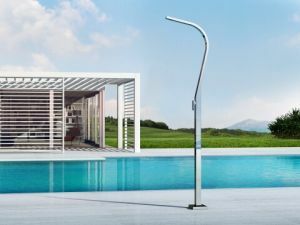 The combination of distinct geometric form and strong robust materials appears to result in a delightfully light feeling, but durable outdoor shower“.